Equine assisted programs are more and more becoming the go to intervention when conventional treatments and therapies are getting results. This opens the door to those who wish to capitalize on this new market with good intentions but who may not have the proper training to offer services. This includes services for mental health, equine facilitated learning, hippotherapy and therapeutic riding type services. To offer any of these types of programs requires that the facilitators have the required education and credentials as well as appropriate horses and facilities. The danger with well-meaning but under-trained individuals offering programs is that they run a higher risk of creating a dangerous situation where someone could get hurt physically and emotionally. These incidences will reflect poorly on the industry across the board. Whether you are looking for a program from the perspective of a new client or as a new professional, here are the top 5 things to look for in a quality program to become involved with. The way someone keeps their property looking on the outside is a reflection of what is important to them. It doesn’t matter how big or fancy looks, safety for participants and horses is paramount. Take a look at the overall appearance of the facility. Is it clean and clear of debris? Does the barn look in good shape or in a state of disrepair? Are the fences safe and in good shape? Is it accessible for wheel chairs? Is the riding and mounting area safe and clean? Are stalls clean and well kept? Communication between staff and participants is important. A good quality experience begins with everyone on the same page and expectations that are clear and agreed upon. It is also important that everyone know where to go and when not only for safety but so that customers and clients coming to the program location feel comfortable. Before and after a session, staff should take the time to gather feedback. These five minutes can tell you a lot about the amount of interest the staff has in providing a quality session to everyone that walks through the door. Training can mean the difference between a good session and a pony ride. Any instructor worth paying for should have a certification or credential that requires education, supervised practice, testing and ongoing education. This certification should be directly related to the service they are offering and be governed by a national organization. 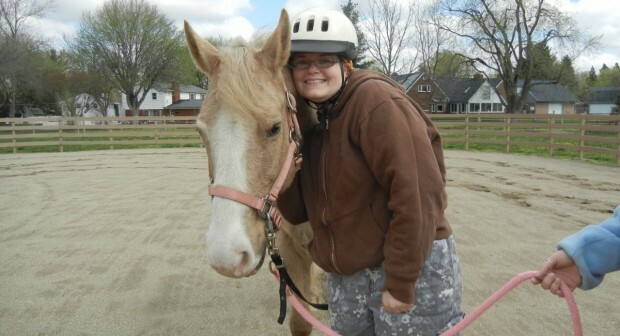 For equine assisted activities there are many such organizations. PATH, EAGALA, CHA are a few examples of governing organizations. Other professionals have organizations that regulate industry as well. The certification or license ensures that the professionals has been tested and has the knowledge and competencies to offer safe sessions that have are goal oriented and their actions are in the best interest of the client. Be sure to check their background before hiring an instructor or taking lessons from a program. Being accredited by a governing organization means that the program and facility have met the highest standards set by the experts in the industry. Participating in a program that has met accreditation standards for safety, facility, paperwork, policy, ethics and barn management. It can improve the likelihood of a better experience. Do your homework, just because someone has an organization listed on their website does not guarantee that they have an affiliation with that organization or follow the standards. 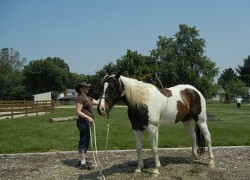 Creating relationships with horses is the reason people seek out these types of programs. 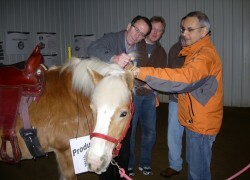 That relationship is the magic ingredient in therapeutic riding, hippotherapy and other equine assisted interventions. Everyone has different opinions about how they like their horses to look but there is a difference between healthy horses and horses who exhibit signs of stress or dangerous behaviors. Horse people also have varying opinions on how to handle their horses. If you ever have a question about how an instructor handled or a horse or witness something that makes you uncomfortable make sure to bring it to someone’s attention. Ask the staff their procedures for accepting horses into their program and how they temperament test the horses. There is no substitute for doing your homework before taking lessons or participating in an equine assisted program. Once you have decided on a program take the time to ask questions, look over paperwork, communicate your concerns and stay on top your expectations making sure the staff are meeting them will mean the difference between a positive or potentially unsafe experience.